There should be no popping sounds coming from your engine. Diagnosing your fuel system can be frustrating enough, but turn the irritation level up a few notches if you've been through it from top to bottom and still don't know where the problem lies! If you suspect a fuel pressure regulator isn't holding its own but can't find anything wrong with it try this tip. 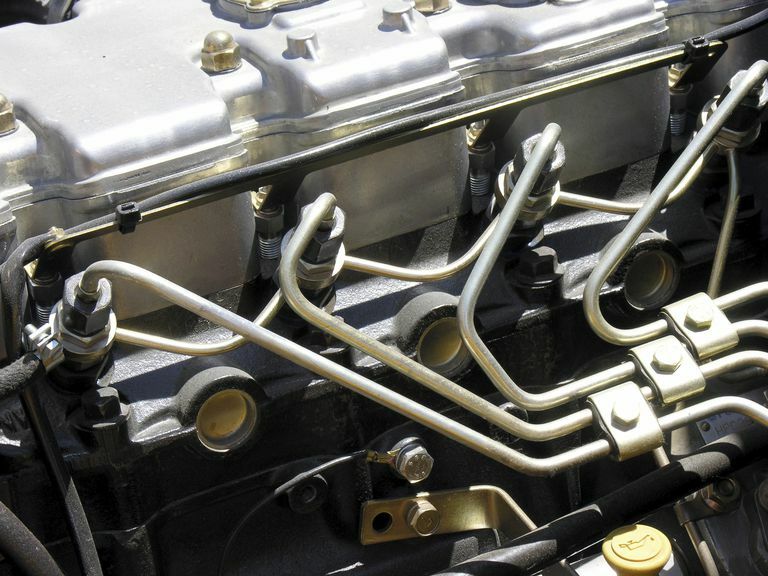 A modern fuel injection system operates under very high pressure. It's up to the fuel pressure regulator to maintain a high-pressure level, but keep the pressure constant in order for all of the components of the fuel injection system to work. The fuel pressure regulator relies on vacuum pressure generated by the engine to help maintain system pressure and predict what fuel demands are about to be placed on the fuel injection system. By reading manifold pressure or vacuum, the regulator will keep the fuel pressure constant regardless of how much fuel is being drawn from the pressurized system. A leak can appear in the vacuum port of the FPR (mechanic speak for fuel pressure regulator) and cause it to lose fuel and pressure through the vacuum hose. An easy way to test for an FPR leak in the vacuum side is to replace the vacuum line going into the FPR with a length of clear tubing. You'll need to find some clear tubing in the same diameter as your vacuum line. If your line is a standard small diameter line, a piece of airline tubing from your local aquarium supply store works perfectly. If not, there are always a selection of tubing sizes to be found at your local hardware store. By adding the ability to visually inspect that end of the pressure regulation. In other words, you'll be able to see leak as it happens. It will most likely show failure when your vacuum is at its lowest point, as in during acceleration. I'm not suggesting you stick your head under the hood while somebody is driving the car or truck at full speed. While that would work, you might end up with much more serious problems. You can simulate the acceleration condition by giving the engine some serious revs, It's not an exact reproduction of the conditions that are created when you put an acceleration demand on the ending and fuel system, but it's close enough to spot a leaking fuel pressure regulator, and like I said before, it's a lot safer! With your clear vacuum hose in place, rev the engine up and down over and over. The best way to do this test is with two people so you can see anything that happens in your clear tube in real time. If the fuel pressure regulator is failing at the vacuum port, as your partner revs the engine you'll actually see fuel seeping or spraying into the vacuum line. This blowback means there isn't a good vacuum signal to work with at the fuel pressure regulator anymore, and the regulator will need to be replaced. Troubleshooting fuel problems can be frustrating, but there's no better feeling than the moment you figure out the problem. Troubleshooting suspension problems is just as fun, try it!